So it happened! 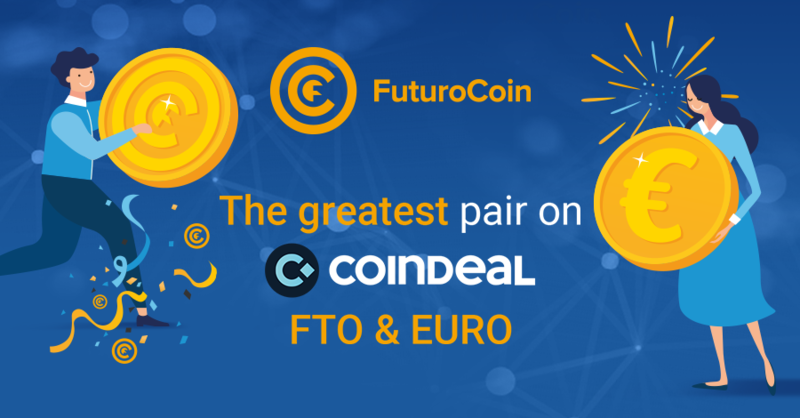 In few days you will be able to trade FTO for Euro. It is a great opportunity for everyone who wants to have FTO. You can exchange it on CoinDeal. It is the first cryptocurrency stock exchange, which lets exchange for Euro. It is amazing news for everyone interested in cryptocurrency in Europe. FTO is getting closer to the european market and is available for all europeans much easier than before. We became more available for you and your needs. FuturoCoin have entered CoinDeal by voting. From the 18th of April FTO is available on CoinDeal.com, which is a stock exchange that gets more popular by the day. Also, you can deposit and withdraw money in FIAT. New pair will be available to trade on 15.05.2018!